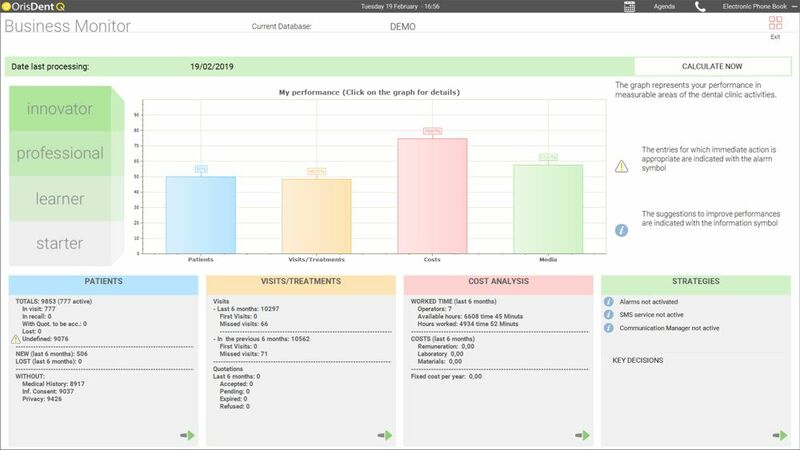 Learn more about the features of Dental Practice management software OrisDent Q. The Patient Record contains all the information you need to know about a patient. You have access to the whole treatment plan, from the quotation to the invoicing. Direct connections to specialized charts allow you to keep always under control the treatment performed and the patient medical history. The accounting data and the treatment status is also immediately visible. The dental chart can be viewed and printed in colour with graphic symbols, for a better and effective communication. OrisDent includes a complete accounting section: final, advanced, detailed and summarized invoices; automatic registration of the payments in the account statement; financial situation always under control thanks to the patient balance and the outstanding payments. You can set up payment plans divided into instalments, immediately visible in the expiration section. The agenda can be daily, weekly and monthly, visible for single and multiple practitioners. There is a “waiting list” where you can handle emergencies and the schedule of appointments. 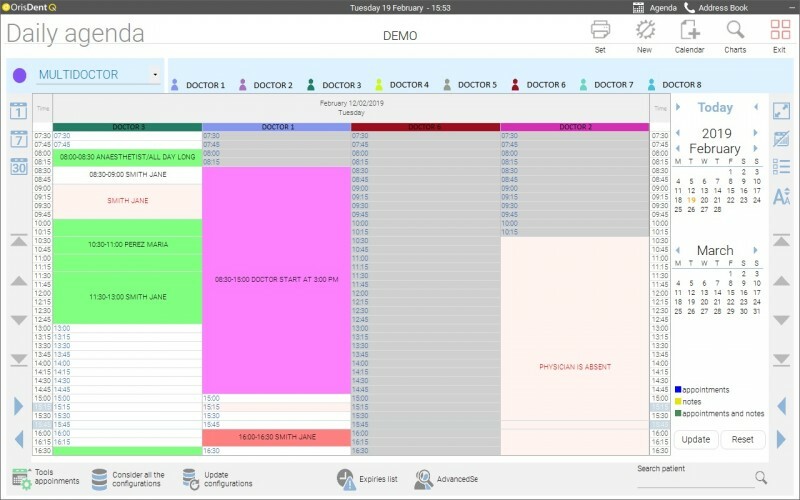 Automatic SMS are sent to the patients that have an appointment “tomorrow” or “the day after tomorrow” in order to reduce missed appointments and manage the practice in a more efficient way. Request of appointments can be sent directly from the Practice website and visible in your agenda. 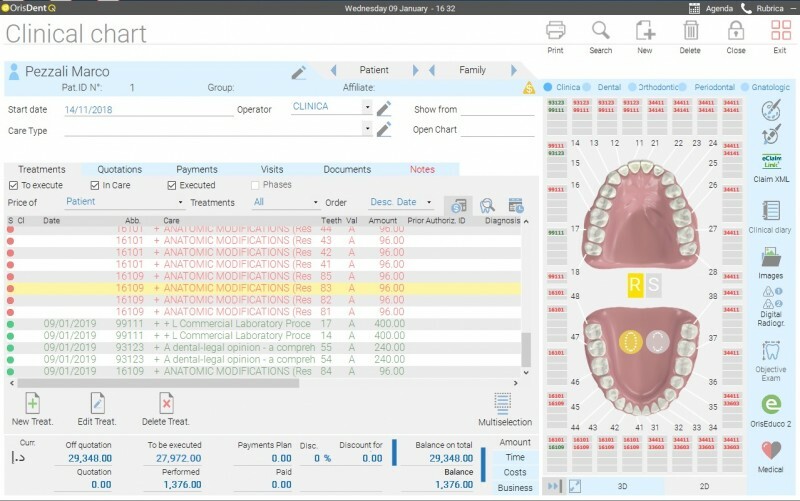 You can manage your appointment book also on smartphone and tablet with the service MyAgenda, always synchronized with your Dental Practice. 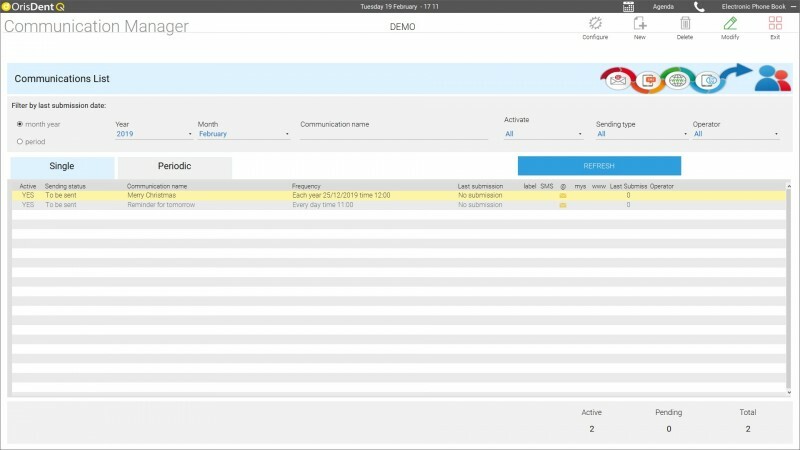 The Communication Manager is a powerful tool that allows you to manage easily and efficiently the communication with your patients. In a quick and easy way you select the target audience and you choose the best way to send specific communication: SMS, e-mails, notifications on smartphone through MySmile, the App of the Dental Practice, or traditional post. Send birthday wishes, remind a visit, demand for outstanding payments, recall patients who put an implant two years ago… all essential activities to increase your income, but difficult to achieve without proper tools. 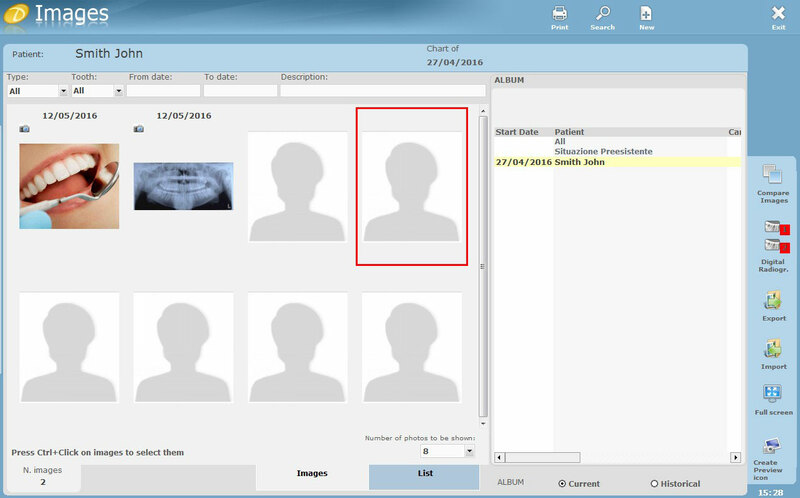 OrisDent allows you to capture photos, x-ray and videos directly from digital cameras and scanner (Twain & Video Capture Device) and save them in the patient’s clinical record. The processing tools allow you to edit the photo in order to optimize the quality. Direct connection with the major digital imaging systems enable you to launch the x-ray software directly from OrisDent and capture the image automatically in the patient record. This allows a better and more efficient management of the work. 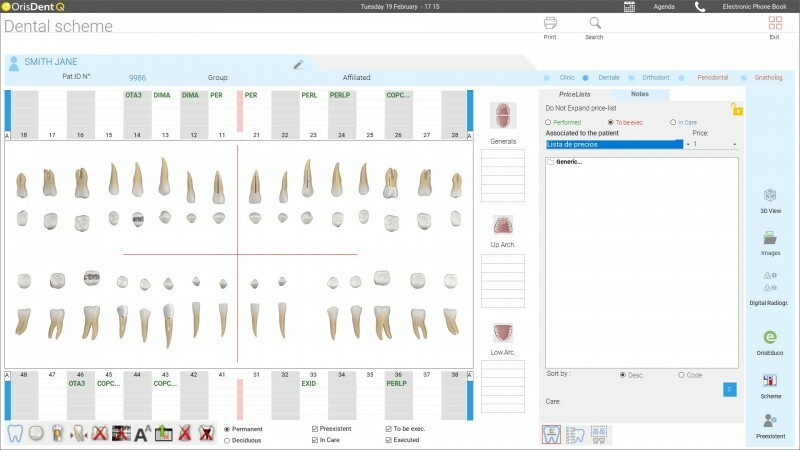 In the patient record it is possible to display the customized dental scheme of the patient with all the treatments and their status (executed, under treatment, to be performed), simply associating the treatment with a graphic symbol. The Dental scheme can be printed in colour from the patient record and in the quotation, to offer the patient professional documentation to let him better understand the treatment suggested. 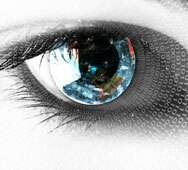 You can also realize an interactive quotation with OrisEduco 3HD, simply associating the video to the treatment.